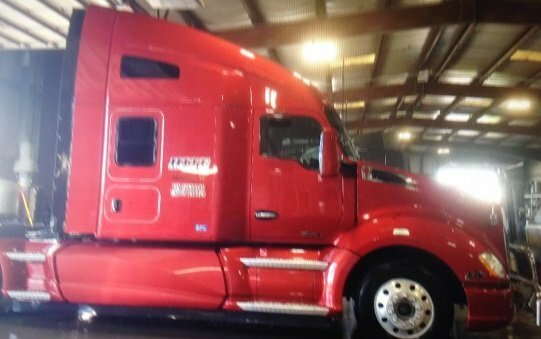 Lynn Schenkenberger from Rossville, Georga is an over-the-road trucker. 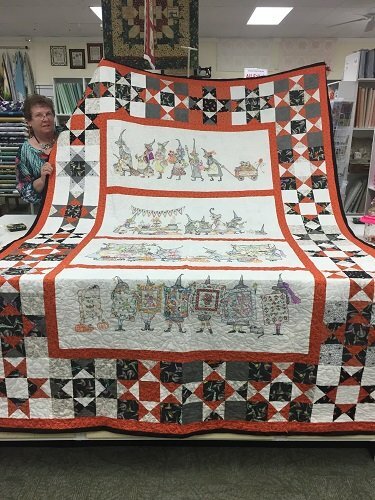 She has a sewing machine in her truck and quilts during her down time. 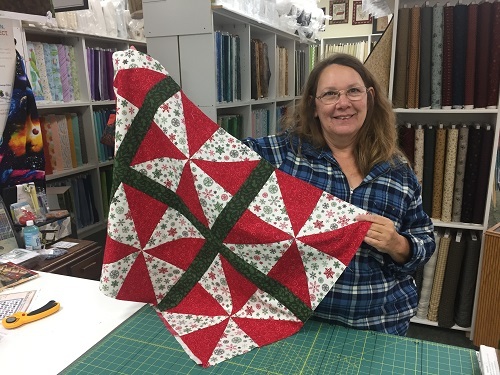 This project is going to be a memory quilt and will have photos of her daughter and granddaughter. Lynn, thanks for stopping by. 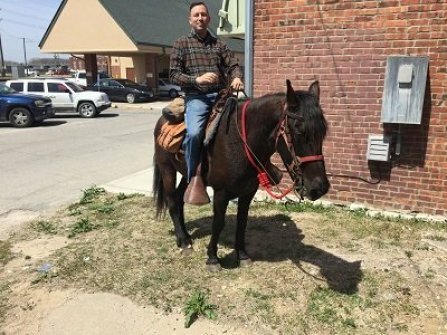 Dave Gordy from Ottumwa arrived on his WW1 outfitted horse. will make a Civil War era shirt. Lynn Schenkenberger (left) sent me a photo of her truck. 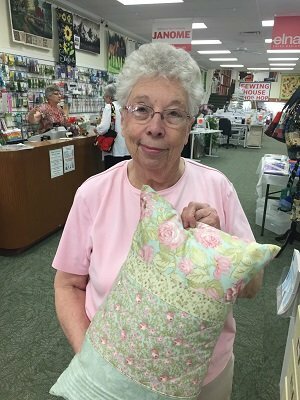 Donna Brooke from Urbandale made this pillow entirely on her serger. Dave and JoAnne Hamblin, from Mount Gilead, Ohio are on their way to Alaska. 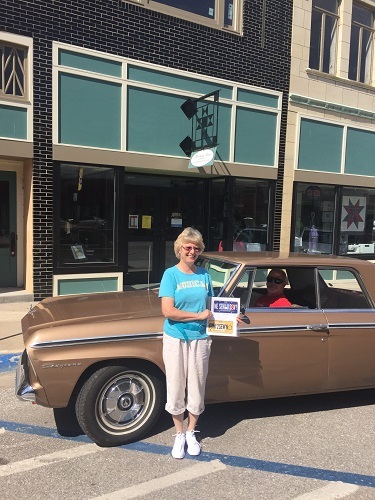 They are traveling in their 1964 Studebaker. They stopped by The Sewing House and agreed to let me take their photo. Dave and JoAnne, thank you and have a great trip. 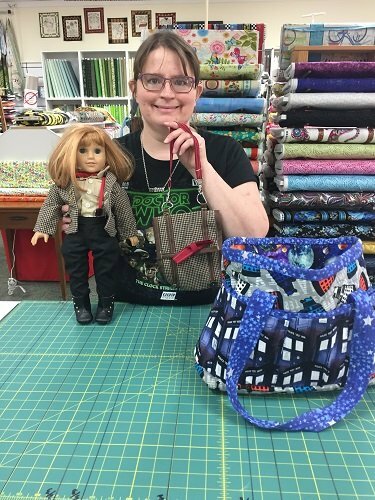 Tiffany Johnson, from Mystic made this Dr. Who bag. She also made this outfit for an American Girl doll. The outfit is a replica of the outfit worn by the 11th Dr. Who in the television series.